If an voltage is applied to water by placing two electrodes into the liquid and attaching a battery to them, the voltage induces a chemical reaction; hydrogen is produced at one electrode and oxygen at the other. In 1839, Sir William Grove observed that this process, known as hydrolysis, will also go backwards. If two specially selected electrodes are placed in water containing an acid and gaseous hydrogen and oxygen provided, one to each, hydrogen will react at one electrode, and oxygen at the other, producing an electrical voltage between the electrodes. 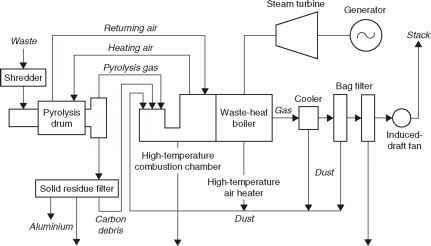 This is the basis of operation of the fuel cell. Although the principle was known in 1839, it was not until a century later that Francis Bacon began to develop practical fuel cells. In the late 1950s, Pratt and Whitney Aircraft Corporation licensed Bacon's technology and developed it for use in the US space programme. As a result, the Gemini and Apollo space programmes and the space shuttle have all used fuel cells to generate electricity. Work on a variety of fuel cells continued through the 1960s, 1970s and 1980s, culminating in the first commercial cell in 1992. Since then work has accelerated and several different types of cell will become commercially available during this first decade of the twenty-first century.